PRICE increases that were reported in the country last week were being fuelled by political and economic speculators who were aiming at scuttling the acceptance of President Mnangagwa’s new Cabinet, analysts have said. Zimbabwe held its elections on 30 July but President Mnangagwa announced the Cabinet on Friday as he was following due processes. This delay, analysts said, created a fertile ground for speculations and was heightened last week as it became apparent that the President would announce his Cabinet. This prompted some unscrupulous business people to hike prices while some politicians took advantage of the situation by manipulating social media to present a picture of chaos in the pricing regime. Sunday News also discovered that most of the prices that were speculated on social media were not reflective of the prices in major retail outlets. A number of business and economic analysts interviewed by Sunday News said the temporary political stalemate was over and prices were now expected to normalise. The new Cabinet is expected to have its first sitting this week. 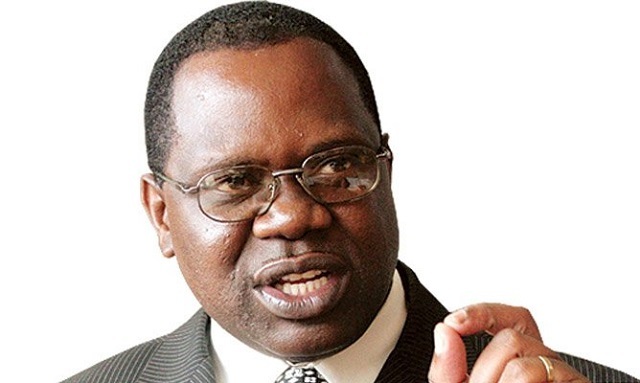 Former State Enterprises and Parastatals Minister and Public Policy Research Institute of Zimbabwe Dr Gorden Moyo said the price increases were a result of unscrupulous businesses. “Remember we had the opposition challenging the results and Constitutional Court (process), all that package creates anxiety, suspicion and panic and unscrupulous business people try and make money out of that kind of environment,” said Dr Moyo. He said the other cause for price hikes was that the economy was operating in disequilibrium whereby the country was importing most of the basic commodities culminating in most of the foreign currency going out of the country. “Lack of liquidity creates a problem whereby there is no money and somebody with products will then raise the price of those products. It’s a macro economic problem where the Government must interfere and that’s where again I got my initial submission that we need some kind of stimulus package, fresh money coming into the country,” said Dr Moyo. Consumer Council of Zimbabwe (CCZ) executive director Ms Rosemary Siyachitema said the consumer watchdog was aware of the price increases since its mandate was to make surveys to periodically determine the country’s food basket as well as monitor prices. Ms Siyachitema said the price of basic commodities has been on the increase since the beginning of the year and that gave the impetus for the Government to set-up an ad-hoc committee led by the Vice President Dr Constantino Chiwenga to deal with wanton price increases. “Basically if you look at the basket, half of the products have been going up. If you look at the graph from January the basket was approximately at $590 and by May to June it had gone down to about $540, now it has gone up again above the January levels to $598,” she said. Ms Siyachitema said there are several of reasons that have led to price increases although speculation was the major one. “There are various reasons for the price increases and as Consumer Council we still state that the percentage of the rise in prices, some of it is purely speculative besides the obvious reasons of shortage of foreign currency, with most retailers buying it on the black market as well as the three-tier pricing. There is also a priority list (by the Reserve Bank of Zimbabwe) for those who are receiving foreign currency and you can never get 100 percent of what you need because we don’t have US dollars, there is a shortage of foreign currency, which is the reason why we need to produce more goods for exports,” she said. Ms Siyachitema said there was a need for business to desist from increasing prices of goods based on speculation. “The anticipation now is let’s come out of the negatives going to the positives based on the new Cabinet. An expert has been put in the Ministry of Finance. All those things, which were not working in the market such as lack of foreign currency will have to be sorted out,” she said. Confederation of Zimbabwe Retailers president Mr Denford Mutashu said the spiralling price increases witnessed over the past few weeks were as a result of foreign currency shortages. “The price increases we realised in recent weeks have been largely due to the foreign currency shortages especially for manufactures. These price increases are located from the manufacturers and producers who have increased prices and citing cash premiums on the parallel market. As you may be aware there wasn’t much, which was available via the formal financial system, so companies had to resort to the parallel market that’s why you saw the rates skyrocketing as well,” said Mr Mutashu. He said most of the price increases were on imported goods compared to locally manufactured products. He said sanity was expected to prevail with the ushering in of the new Cabinet. “There was some unnecessary anxiety and we also expect the rates on the parallel market to come down as the market confidence is now beginning to cripple in especially after the Ministry of Finance portfolio was given to someone who is a technocrat who has vast experience in regional and international business,” said Mr Mutashu.